This is by far, my favorite jam recipe I have ever made. I mean...my favvvvvvvorite! 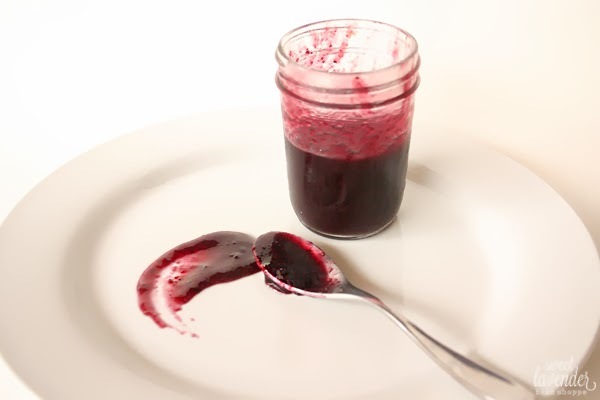 With the addition of merlot wine, the jam takes on this intense warm...Christmas-ie flavor. It seems like a lot of alcohol, but I assure you, it cooks off during the cooking process. Plus come on, we have whole cinnamon sticks and delicious vanilla beans added...you know you've got a good thing going. I used to make this jam on a constant rotation. My husband loves himself some PB n J's, so I made sure our fridge was stocked with strawberry jam, pineapple butter, and this merlot beauty. Whenever one was about to end, I got on it and made another. Then I stopped! It's about time I get going on that again. 1. In a non reactive medium-large saucepot, add all of your ingredients. For the vanilla bean, cut each one length-wise and carefully scrape out the seeds inside. Add both the seeds and pods to your mix. Stir. 3. Cook mixture, stirring every 5 minutes or so until mixture reaches 220°F on your candy thermometer. Turn heat off, remove vanilla pods and cinnamon sticks, and puree to your liking. 4. 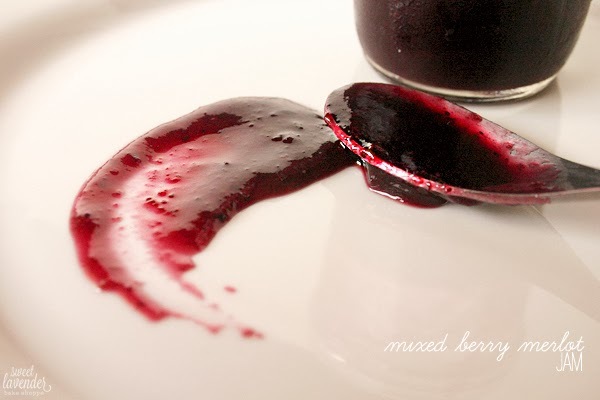 Pour into cleaned and sanitized glass jam jars and seal quickly with a self-sealing lid. Allow to sit at room temperature until your lid "pops". Once you hear that "pop" you know your jam is air tight and sealed! Great as gifts for friends or kept all for yourself! Jam will last for months in the refrigerator. Once opened though, it will last about 3 weeks. This stuff is amazing over vanilla bean ice cream, poured over pancakes or waffles, or made into an upscale PB n J! We like to eat it with salty pretzels or right off the spoon! Well I just went and stalked all your social media! Haha. I hope you make it soon! oh! if i ever tired to make jam i would make this! It's certainly a winner, for sure!